Henrik Håkansson’s works show fragments of cycles of nature that he records or reconstructs in different places—in exhibition contexts. The works focus on the observation of plants, birds, insects or other creatures and their surroundings, and on the question of possible forms of dialogue between human beings and nature. For his observations, Håkansson uses various recording apparatuses—surveillance cameras, high speed films—and visualization media—computer programs for acoustic and motoric analyses, such as those used in scientific experiments and research projects. Whereas these elements formally allude to the inclusion of science in art, conceptually they stand for methods of abstraction and objectification. Håkansson combines these (scientific) systems of communication with a language of subjectivity, with pop, film and music history. 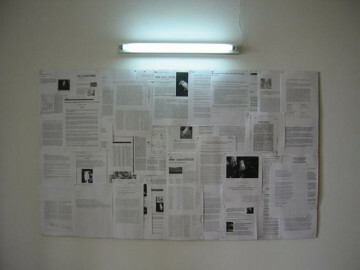 In this way, his installations integrate the reconstruction of the recording situation in analogy to film settings; the title of a three-hour film of a sleeping anaconda, for instance, is borrowed from Warhol, Sleep (Eunectes murinus) (1998) or birdsongs are published in LP format, (The Blackbird – Song for a new breed and Nightingale – Love two times, both 2001). 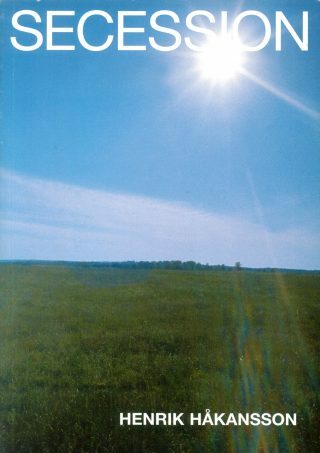 His observational settings are not intended as a reflection on supposedly contradictory systems—such as nature and culture, science and art—but rather to increase sensitivity for natural phenomena in the already fragmented spaces of life and perception. Henrik Håkansson’s exhibition in the Secession is based on two new projects, which both deal with the theme of birds. 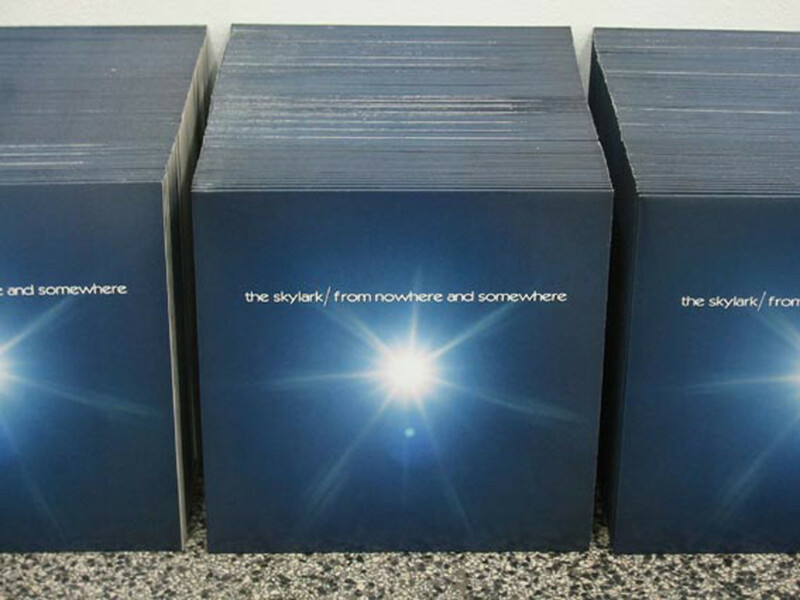 The film installation The Skylark (Alauda arvensis). The optimal flight between nowhere and somewhere shows the flight of a skylark. 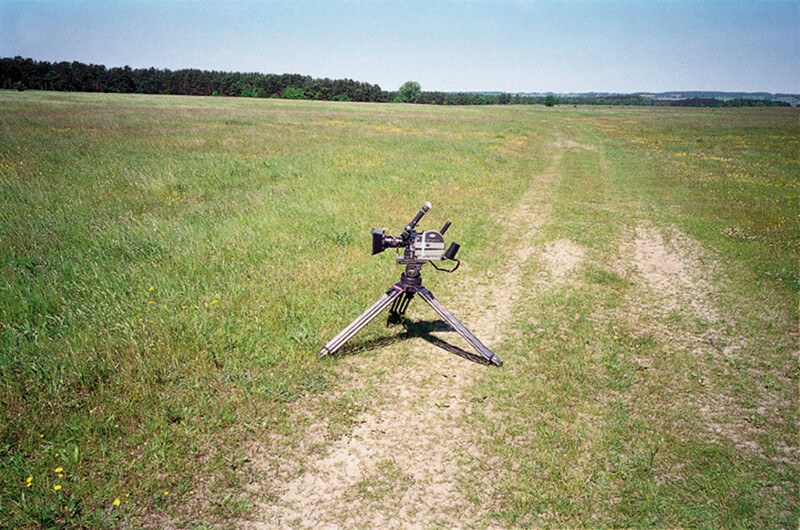 The pictures were filmed in high speed 16mm in open air in the south of Sweden to register movements and patterns of flight. The film loop is intended to visualize an “optimal” flight between “nowhere” and “somewhere”. Abstraction and prelude to fiction appear as equally important elements of the image. 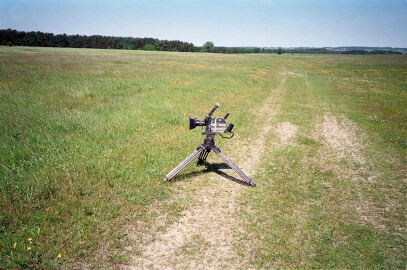 Parallel to the film installation, as in earlier works, Håkansson publishes a record with the song of the skylark, which also serves as a soundtrack for the film. The second project centers around the Bali starling or Bali Mynah. The background for the research on this bird is a long-term film project entitled The Birds, a series of portraits dedicated to endangered birds and their habitats. As a prelude to The Birds, a videographic portraits of a pair of Bali starlings was made at the Schönbrunn zoo. Håkansson also calls the filmed portrait a screen test—(Untitled) Screen-test: Bali Starling (Leucopsar rothschildi)—thus quoting the testing procedure used in the film industry for testing and casting roles. The original habitat of the Bali starling is the island of Bali, where there are currently still six birds living in a national park. Since the 1970s, zoos and research institutions—such as the Konrad Lorenz Institute—have increasingly become the habitat of these and other birds, where breeding programs are intended to ensure their survival. 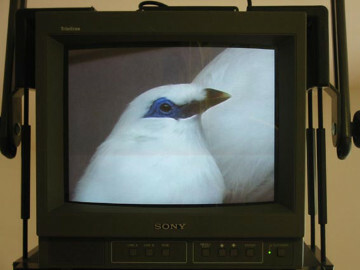 In the exhibition, the screen test is positioned next to a reconstruction of the aviary, in which the pair of Bali starlings was filmed over a period of eighteen hours using a surveillance camera and a long-play recorder. 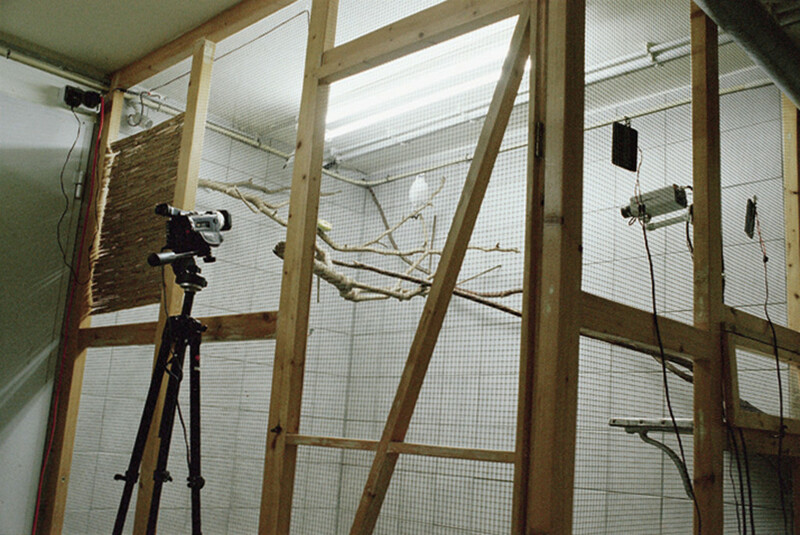 At the same time, for the observers the reconstruction of the aviary represents a documentation of a temporary habitat and a film set. Henrik Håkansson, born in Helsingborg in 1968, lives and works in Galtaback and Berlin.